I have a form that takes 2 dates- a. Assigned due date & b. Adjusted due date. 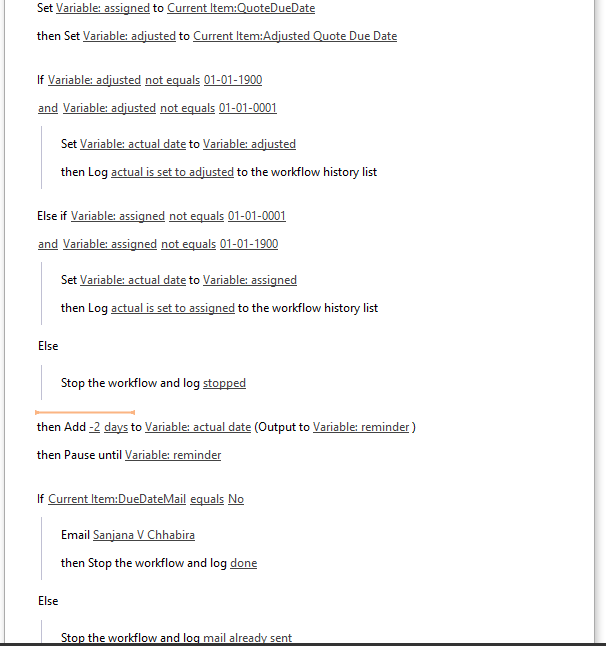 now, I wish to check that if "adjusted due date" is non empty then use it for reminder mail else use "assigned due date"
Issue: It checks the date only once, whichever is saved first: assigned or adjusted. Any solution? Try to use calculated columns for both 'assigned due date' and 'adjusted due date'. These calculated columns stored Yes or No response. If date field is not null then it contains Yes else No. 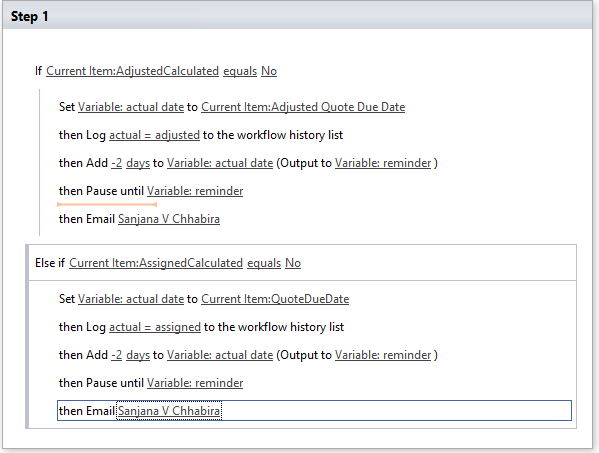 Then in workflow use these calculated columns and based on Yes/No response select a date from these two date fields i.e. assigned and adjusted. Use the selected date in Reminder mail. Not the answer you're looking for? Browse other questions tagged sharepoint-designer workflow date reminder or ask your own question.